One of the Chamber pillars is Advocacy. DanCham will work for key issues important to our members making it possible for them to operate their businesses smoothly here in Thailand. Even though the Danish-Thai Chamber of Commerce has a good size compared to similar countries, we are still a small Chamber with respect to other European Chambers. For this reason, we often join forces with like-minded organizations or Chambers in order to have a stronger voice. 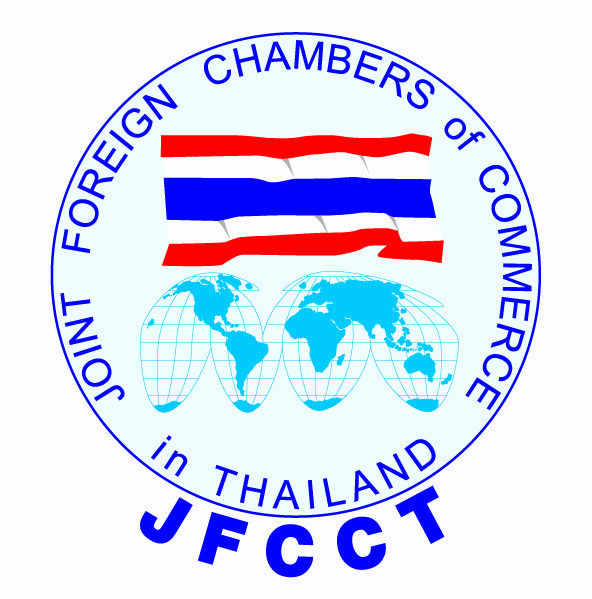 In Thailand, most foreign Chambers are members of The Joint Foreign Chambers of Commerce (JFCCT), which in Thailand is the umbrella body for various Thai-foreign Chambers or business associations operating here in Thailand. Currently, the JFCCT compirses 31 Chambers and business associations representing more than 9,000 companies in Thailand. The JFCCT works with the Royal Thai government and various government agencies such as the Board of Trade (BOT), Board of Investment (BOI) and the Federation of Thai Industries (FTI) and a number of sector-specific agencies. The JFCCT is the umbrella body for various Thai-foreign Chambers or business associations operating in Thailand. There are 31 Chambers and business associations representing more than 9,000 companies in this extensive membership database. JFCCT’s mission is to promote trade and foreign investment, encourage skills development and transfer with the overall aim of contributing to the economy in which we live and work, and to which we have made our commitments. The JFCCT works with the Royal Thai government and various government agencies such as the Board of Trade, Board of Investment and the Federation of Thai Industries and many sector-specific agencies, and by way of advice and recommendation to foreign governments – for the benefit of the Thai economy. If the Thai economy benefits and grows, so too will all those who are part of it. The JFCCT aims to contribute to the economic development of Thailand in a positive way, across all sectors of the economy. Through education, discourse and collaboration, rather than by making demands, the JFCCT aims to build consensus amongst its constituent members and work with all others in the economy on proposing solutions and through collaborating on problem solving. Click here to learn more about the JFCCT.